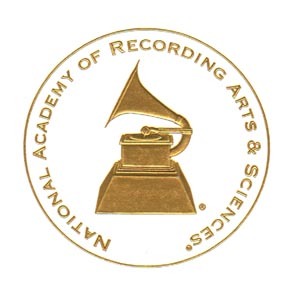 Members of The Recording Academy have nominated 3 projects mastered or mixed by Mr. Ball, aka Seva, within the past 7 years. These include two projects for Dolly Parton, and a CD for Jim Lauderdale, who went on to win the following year. In addition, according to a member of the committee, Mr. Ball "made it possible" for audio software maker Waves to be awarded a Technical Grammy Award in 2011. Mr. Ball shares this Grammy, having been present and an integral part of the company at the time being evaluated by the Academy. The Grammy Foundation has awarded two separate grants to institutions for preservation of historical American recordings; the institutions wished to utilize Mr. Ball and his archival techniques. In order for these grants to be awarded, Mr. Ball provided a detailed letter of intent (including methodology) along with references from industry peers and mentors. These projects were the Lewiston Archive, now housed at the Library of Congress, covering 600 tapes recorded worldwide between the mid 1960's and the early 1980's, including originals used for 28 records on the Nonesuch label; and the Bob Moog Foundation, currently in process of final archiving stages of 300 tapes which chronicle the growth of the Moog Synthesizer. They will be stored at the Smithsonian and in Iron Mountain's secure facilities. Preserving the inherent value of historical media and the technology of the past will be an ongoing task for many film, video, and audio specialists for years. It is not merely a matter of making a copy and storing it. Technology advances and reveals new methods and benefits in making fresh transfers, yielding an ongoing demand for educated technicians and craftsman to understand and apply these techniques, while maintaining all the old machines to be ready for another playback. Mr. Ball won 14 Addy awards during his days in radio. He served as the Production Director for WIMZ - "Rock 104", writing and voicing several thousand commercials, imaging campaigns, station ID, bumpers, and more. During the mid-80's his production won Best of Show, Radio. It was about Bovine Bingo, if you've been lucky enough to know what that is.